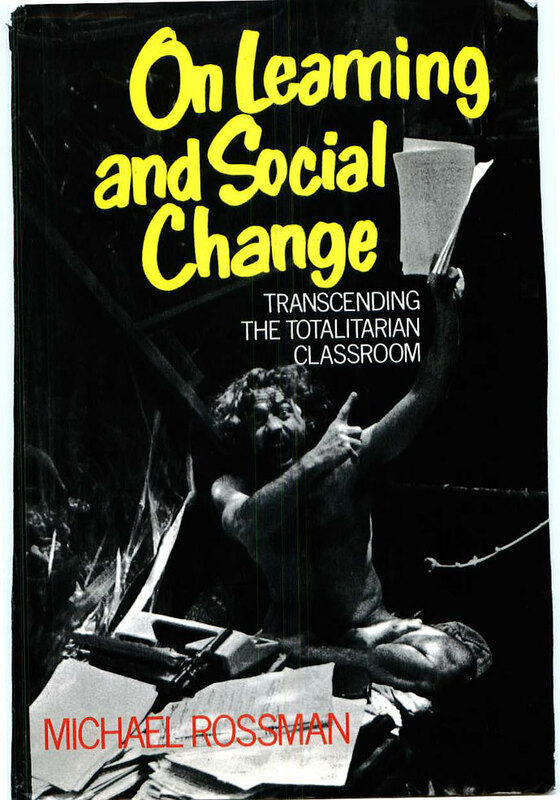 The author in 1971, brandishing the manuscripts of this book, stark naked in lotus position within the small geodesic nursery he'd built for his son. Though antic in style, the contrast with the back cover was deliberate and precise. Five years after leaving graduate school, this was in effect my thesis, "for a floating school unchartered by the State." Its contents were extreme enough that I could hardly imagine they'd be taken any less seriously, for being wrapped in a sense of humor. "That boy's sure got a will to fail," said my mother-in-law, rolling her eyes in satisfied anguish. But I swear, I wasn't responsible for the garish yellow and red typefaces. It could have come out seeming quite dignified, given the era.